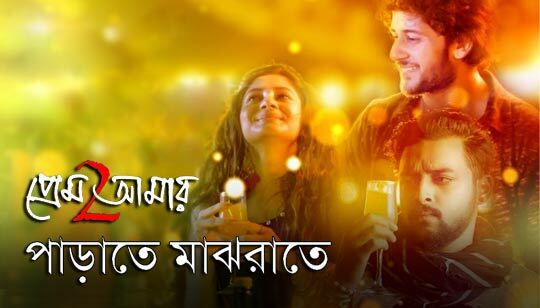 Parate Majhraate Song Lyrics In Bengali from Prem Amar 2 Bangla Movie. Featuring: Adrit Roy, Puja Cherry Roy And Sourav Das. The Song is sung by Tushar Joshi And Kona. Music composed by Savvy Gupta. Parate Majh Raate Poreche Hurohuri Bangla Song Lyrics written by Ritam Sen. Mixed and Mastered by Subhadeep Mitra. চিনেও কেন চিনি না ..